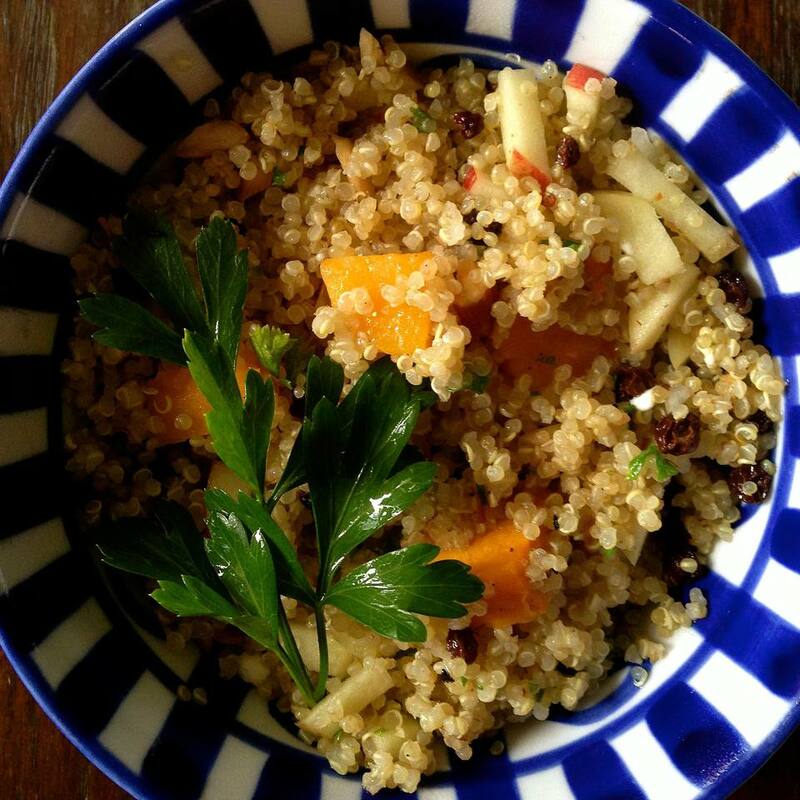 Use either black, red or white quinoa (or a combination of the 3) in this gluten-free recipe for basic steamed quinoa. Quinoa is a cousin to amaranth, and is one of the ancient staple foods of the Incas. It is protein and vitamin rich food, and while strictly speaking it is a seed, quinoa is eaten as a grain and is an excellent option for people who are watching their grain intake. It has an exceptional amino acid profile and along with amaranth possesses the highest protein content of all grains. Quinoa is strengthening for the whole body, and for the kidneys in particular. Not only is quinoa high in protein, it is rich in calcium, iron, and B vitamins. It makes great salads and can be tossed with olive oil, chopped herbs, leftover roasted butternut or other winter squash or roasted veggies. You can add more water and turn it into Quinoa Porridge, or stir it into a delicious baked Pumpkin and Quinoa Pudding With Apples and Figs. It can be used in soups, baked goods and a myriad of salads both warm and cold. Always rinse your quinoa to remove the bitter resinous saponin that is native to the plant. Most commercially sold quinoa has been washed already but I always give mine a rinse. Leftover quinoa will keep, refrigerated for 2-3 days. Rinse the quinoa and drain thoroughly. Place the water, quinoa and sea salt in a small, heavy bottomed saucepan. Place over medium high heat until it comes to a boil. Reduce heat to low, stir once, and cover the pot. Cook the quinoa for 18-20 minutes, until the water has been absorbed. The quinoa will become slightly translucent and sprout a tiny “tail” as it cooks. Let it sit for 5 minutes off the flame.